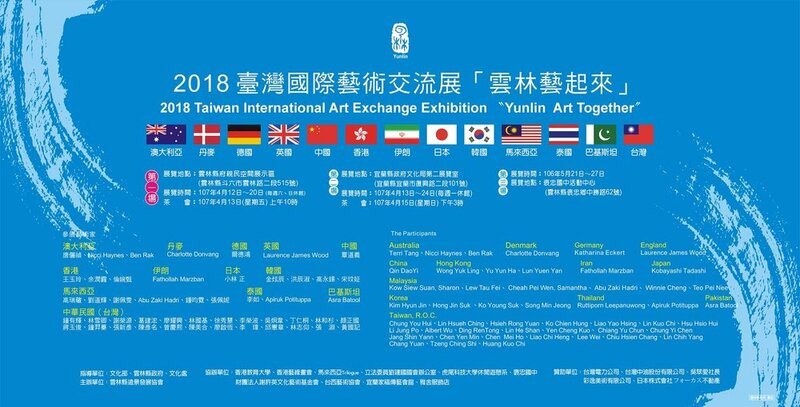 I sincerely appreciate Sharon Kow for extending the invitation for me to join the 2018 Taiwan International Art Exchange Exhibition from April 12th to 17th at Yunlin and Yilan County. The art exchange was curated by Professor Bill Chung from the National Taiwan University of Arts as well as three established artists from Taiwan; Mr. Ding, Mr. Albert Wu, and Mr. Chang. I chose to submit two of my works, the Pinstripe Papaya (2017) and Finding Heart (2017), for the exhibitions. The Pinstripe Papaya is featured in the catalogue and was exhibited in 'Yunlin Art Together' at Yunlin County Pro-People Space. It was an incredible opportunity to meet and exchange ideas with artists from Malaysia, Thailand, Pakistan, Iran, Taiwan, Hong Kong, China, Japan, Korea, Denmark, Australia and the UK! There was such a diverse range of medium and styles from printmaking, acrylic painting, oil painting, colour pencil art, watercolours, and mixed media pieces in the show. 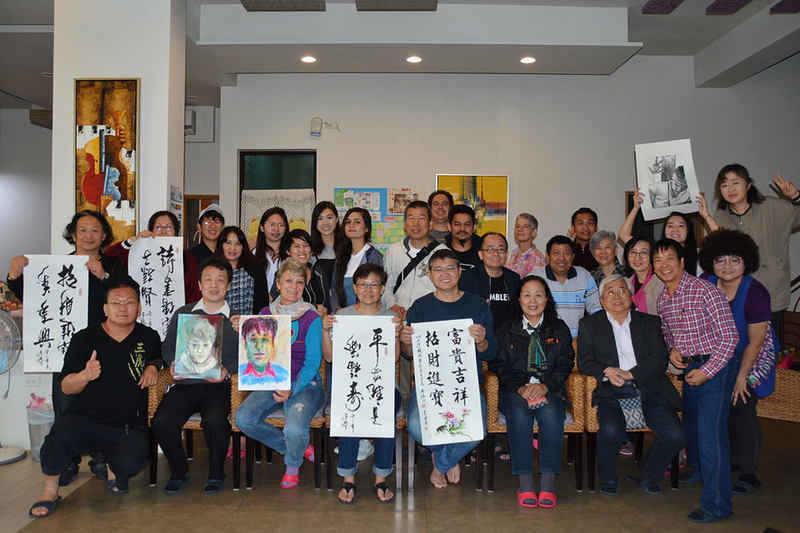 The Magistrate of Yunlin County personally showed up and presented certificates of appreciation to the artists. I was quite overwhelmed by the support and hospitality we received during our 6 days in Taiwan. On the fourth day, the artists were invited to present our work and processes before we went to the second exhibition at Yilan. I tried my hand at helping to translate Asra Batool's presentation from English to Mandarin but had to pass it on to Samantha from Malaysia, my Mandarin vocabulary simply couldn't keep up! During the whole trip, those who were multilingual took turns to help with translations. I shared about how I created the character of Durianhead and the Strange Botanicals series as well as the storytelling and myth-making aspect of my work. 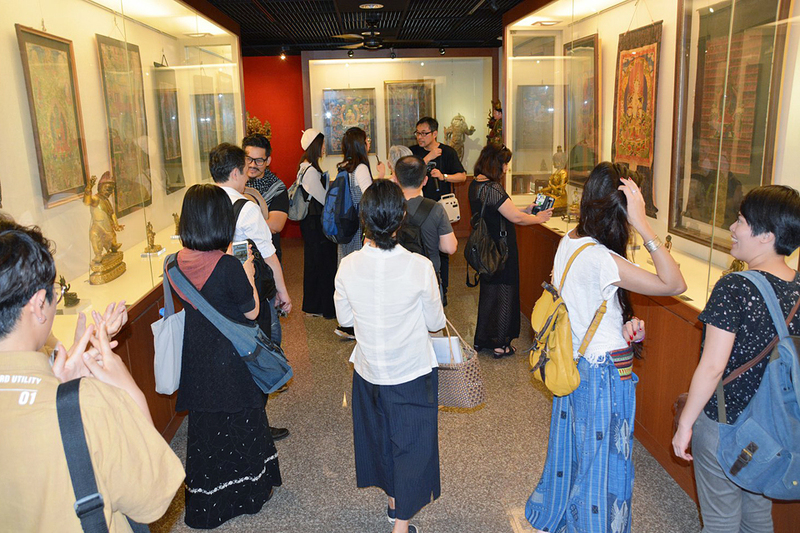 After the short artist presentations (which ran over time), we then headed to the second exhibition venue at the Cultural Affairs Bureau of Yilan County. The Director of the Yilan Cultural Affairs Bureau presented all the artists with certificates of appreciation as well. Introducing my work Finding Heart to the Director and curator Professor Bill Chung. Group photo with all the participating artists! Other than the exhibitions, the local artists also brought us around to see and experience Taiwan. We went to Makara in Yunlin where they have a collection of ancient Buddhist artifacts. We were also taken on a tour of the old town to see buildings from the time when Taiwan was a colony of Japan. It was a very detailed tour and it was interesting to learn more about the history of Taiwan through its architecture. We were then taken to visit several temples. This was a procession outside one of the temples to celebrate the goddess Mazu's birthday. The costumes and rituals were absolutely fascinating! 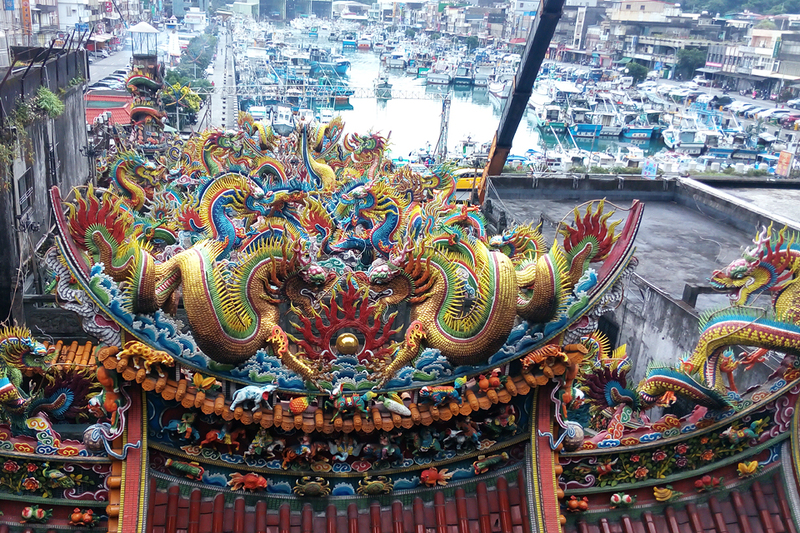 This was the first time I've heard of the goddess Mazu who protects fishermen as they go to sea. I will be reading up more about her soon! Another part of the procession with elaborate costumes and face paint. They had to perform their stunts and step over a little fire burning in front of the temple's door. Other interesting parts of the procession include a small lorry covered in colourful LEDs blasting techno music as it ambled towards the temple. The temples were filled with so many gorgeous details. The colours and careful craftsmanship really attracted my attention. I would have loved to spend more time admiring the details but we were on the go most of the time. Other than the historical and religious aspects of Taiwan, we also went to several contemporary art spaces. This was a repurposed paper mill in Yilan County. Part of it functions as an incubation program for artisanal crafts relating to paper, wood and cloth. There were also large metal cutout installations designed by one of the organizers, Mr. Chang. We finally had some free time during our second last day in Taiwan and one of the artists, Kobayashi-san, showed us his technique of wood lithography. After that, Kobayashi-san and Charlotte Donvang sketched each other's portrait using pastels which Charlotte had brought along. I took the opportunity to make some paper cutout characters too! Mr. Ko., one of the artists from Taiwan, demonstrated writing Chinese calligraphy. He would write the characters upside down so the audience can read the words as they were written. It was incredibly fascinating to watch. The final day group photo with pieces created during the demonstrations. This photo perfectly describes how I felt during the trip! Here's to more art travels and seeing the world! !